Here below is a selection of the wonderful places you can visit from Ahsa Farm Stay. You can easily go on your own or we may alternatively arrange the visits for you. Explore the mountain range that runs along the Myanmar border. Less than one hour drive from Ahsa Farm Stay lies the Chang Moop Range, marking the border with Myanmar. Impressive limestone cliffs overlook tiny Lahu, Akha and Hmong hill tribes villages and their coffee plantations. Some of the finest Thai coffee brands are produced here. 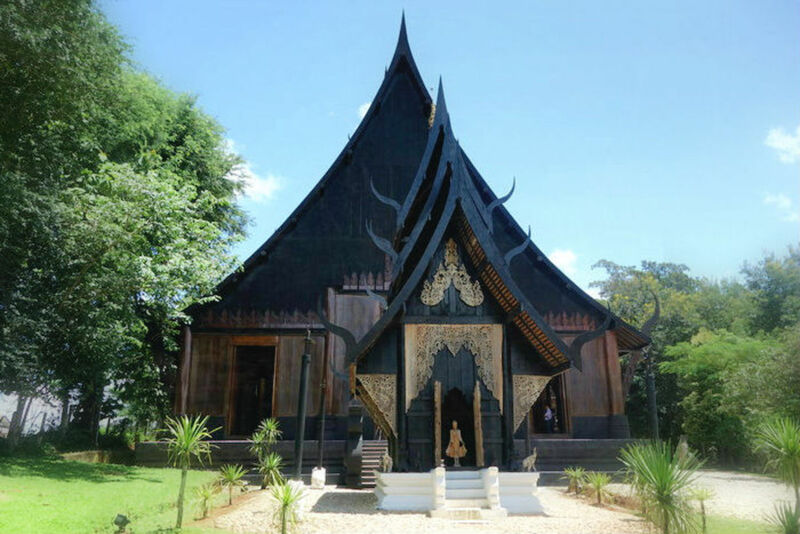 Along the way, stops at the Mae Fah Luang Royal Residence and Botanical Gardens as well as at Wat Pra That Doi Tung Temple are more than worthy. In this area you can also find Tham Luang Cave, made famous by Mu Pa team rescue. The massive mountain overlooking Ahsa Farm Stay is home of tea plantations and cultural diversity. 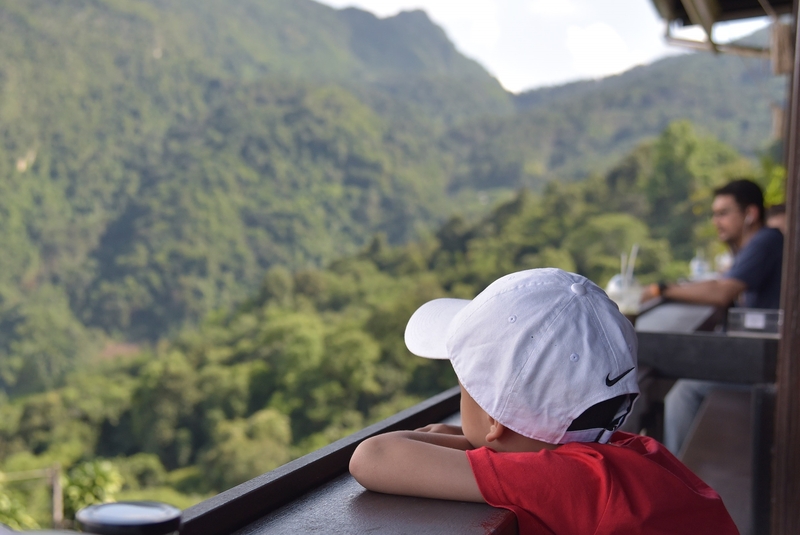 Home of chinese and hill tribes refugees arrived in the area during the past Century, Doi Mae Salong features today contrasting scenarios, culture, architecture and traditions. The Chinese brought the tea plantation tradition along with them and this consitutes today the most distinguished characteristic of the mountain. The monutain top, overlooked by a modern temple, is some 40 minutes drive from Ahsa Farm Stay. 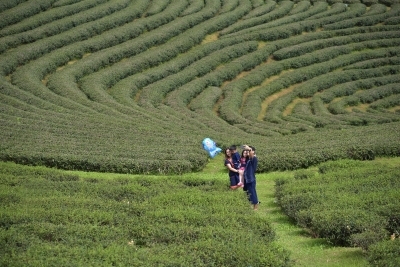 You will find some of the most beautiful tea plantation along the way. Chang Rai is famous in Thailand for its mountains, its hill tribes, but also for its artists. In recent years, some of the most renowned local artists have engaged in architectural competition enriching the town with astonishing pieces of art featuring a blend between modern and ancient styles. Wat Rong Khun, better known worldwide as “the white temple” is among the most celebrated but Baan Dam, or “the black house” also worths a visit. Chiang Rai night bazaars are also a place where to find fine handicrafts. The largest and most colorful ones are held during the weekend. The point where Thailand, Laos and Myanmar meet together is few kilometers away from Ahsa Farm Stay. This area became famous a few decades ago thanks to the opium illegal trade across the borders. 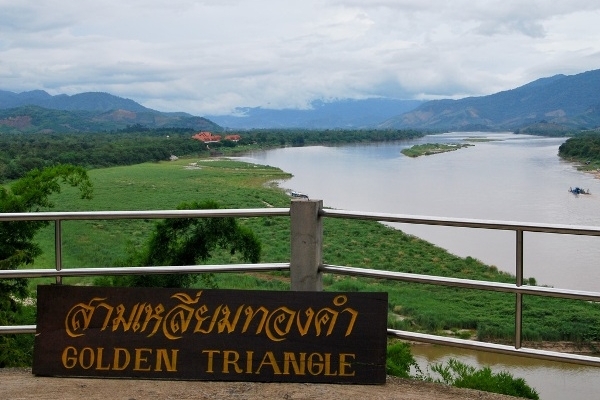 Today the Golden Triangle symbolizes friendships among neighbors. The natural border is demarcated by the mighty Mekong, one Asia’s largest rivers, which carries the melting snow of the Himalayas.